​Our desire is to provide activities and challenges from God’s Word that will assist us in getting to know your teenager’s strengths and weaknesses and encouraging them to love and serve their God supremely. We also know that teens just like to have fun too! One monthly Saturday activity, whether service or fun oriented. One/Two low budget Sunday night activities ending between 9:00 and 9:30 depending on time of year. #wilds2018 Week Six from The Wilds on Vimeo. Our goal is to routinely present the young people with opportunities to use their gifts and talents in fulfillment of their God-given responsibility by serving in the church and in the community to find where they fit in for Christian service. 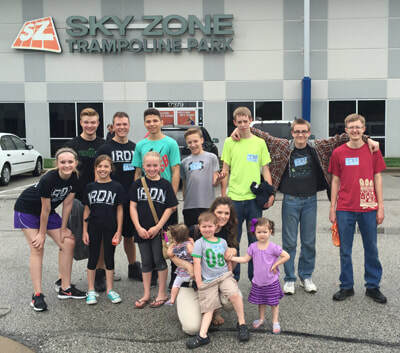 Our youth group provides monthly opportunities to fellowship with teens of like faith. We live in a wonderful community that is filled with lost people. Our teens are encouraged and given opportunities to reach people here and abroad. These teens are faced with numerous circumstances that are designed to strengthen their relationship with God. Our desire is to use God’s Word to open their eyes to the next step of spiritual growth through personal counseling or Bible preaching. The future of our youth is determined by what they do today. Our desire at FBC is that our youth glorify God by being salt and light in their community; that they grow in Christlikeness through the trials they face; that they live a victorious Christian life by resisting temptation; that they cultivate godly relationships; and that they do not fulfill the status quo but attempt great things for the glory of God.